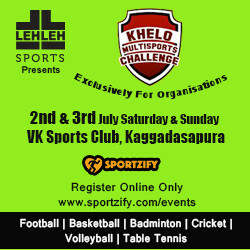 A multiple sports event only for corporates being hosted again in Bangalore. 2 days multiple sports and big cash prizes to be won. More than 10 teams particpating in each sport. Play individually or form a team and participate. Your Choice of Sports are available.